48 comments posted so far. Login to add a comment. hahahahahahaha So you think you can fall!!!! FAKE! I think the PC keyboard wasn't even connected, but LOL! #5 your a retard. ever heard of a wireless keyboard? lol tard. wtf she dance like a drunk gwen stefani! Man She Thinks She's It Until The Kicks the Hell Out Of the Lamp Then Damn Pulls The Curtain And then throws The Keyboard a mile i mean dosn't the keyboard have enough coping with her!! she looks right at the light before she kicks it. #5 well you can kinda see the end of the plug for the keyboard coming out after a bit of tension. Hahahahahahahahahahahahahahahahaha. seriously, she needs help! This is actually a video threat to all of the world's ceiling lamps. I thought the vid was great, but #7 - "Magor fail" was funnier. What I absolutely love is that everything is going along quite fine (if you can call it that), until she Ninja-kicks the lamp. After that, her coordination completely disappears. 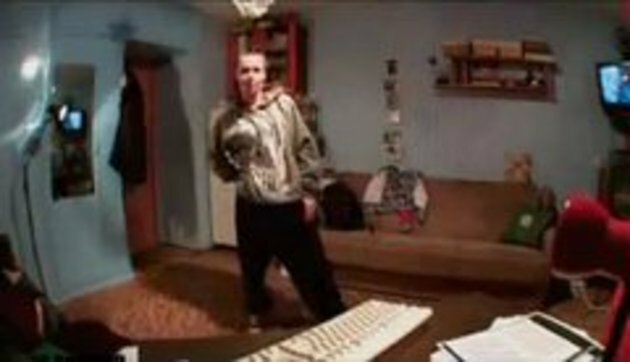 See what happens when you practice your Dancing Death Moves on a completely innocent hanging lamp? Let this be a lesson to you all. Bleedin Hell she actually failed At Falling She is a LOOOOOSER!!! ITS A SIGN TO ALL LAMPS stay away From Her She Will turn Jackie Chan on You!!! was she dancing or having a heart attack!!! thanks blessed hands Seriously she NEEDS To stay away from xfactor simon cowwell will end up killing him self!! And #5, maybe the keyboard was connected. You can see the cable pops up right it's been pulled. Wow this video got a lot of comments. By far the most ive seen on snotr!